Create a contemporary Japanese-Korean Restaurant inside of three connected commercial spaces. We used the three distinct spaces to our advantage by creating dining areas with separate character and moods while linking them thematically with color, texture, and materials. The front room has storefront windows with lots of natural light. 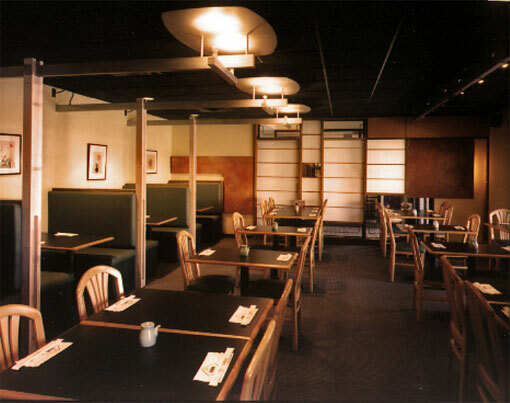 The middle room is fitted with grill tables where patrons can participate in the cooking of their meals. 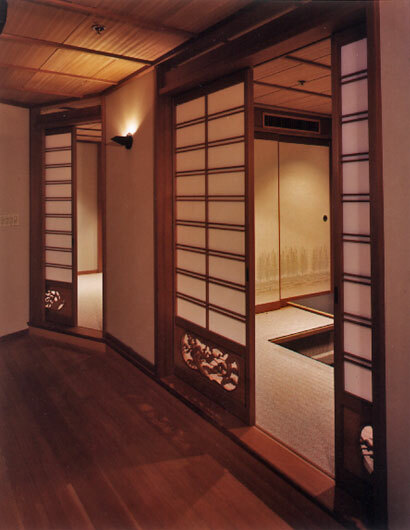 The rear portion contains three traditional tatami rooms that can be used separately or together. Various materials are used to create a collage of colors and textures. 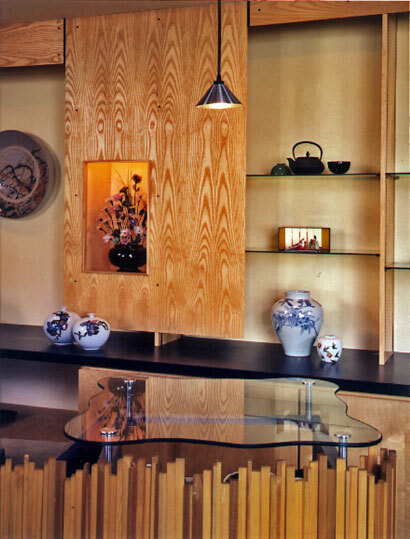 This landscape is an abstract of traditional Asian design incorporating nature into the built environment.